Searching for Light? | King Solomon's Lodge, A.F. & A.M.
Masons develop a connection built on shared beliefs and experiences. This creates a profound bond that transcends ordinary kinship. Brothers support and challenge one another, share knowledge and wisdom, and provide light and hope in times of darkness. As a Masonic brother, you will always have a network of peers who care about you, no matter the hardships you may face. Freemasons believe that the desire to help others is a natural by-product of our own personal growth and development. From the earliest days of Freemasonry, providing care and resources for others has been one of our most vital activities. In fact, we give over 2 million dollars to national and local charities every single day. All Masons give generously of both their time and talents. As Freemasons, we continually seek to better ourselves and the world around us through the pursuit of knowledge. At its core, Freemasonry is about the nature of truth. Together, we pursue wisdom through a system of values, symbols and allegory. Through these symbols and our shared traditions, each Mason defines and discovers his own unique path. The members of King Solomon’s lodge come from all around the world. Of our membership, Cambridge, Somerville and Boston are the cities most heavily represented. Freemasons help men to be the best possible versions of ourselves, and make connections with men who share the same values. We welcome men of every country, religion, race, age, income, education, and opinion. The Grand Lodge of Massachusetts welcomes those qualified men who are interested in the possibility of joining our ranks — to become a member of a Fraternity whose members and principles have shaped our country and our history. Men age 18 and older who believe in a Supreme Being and meet the qualifications and standards for membership are eligible to petition a Lodge. 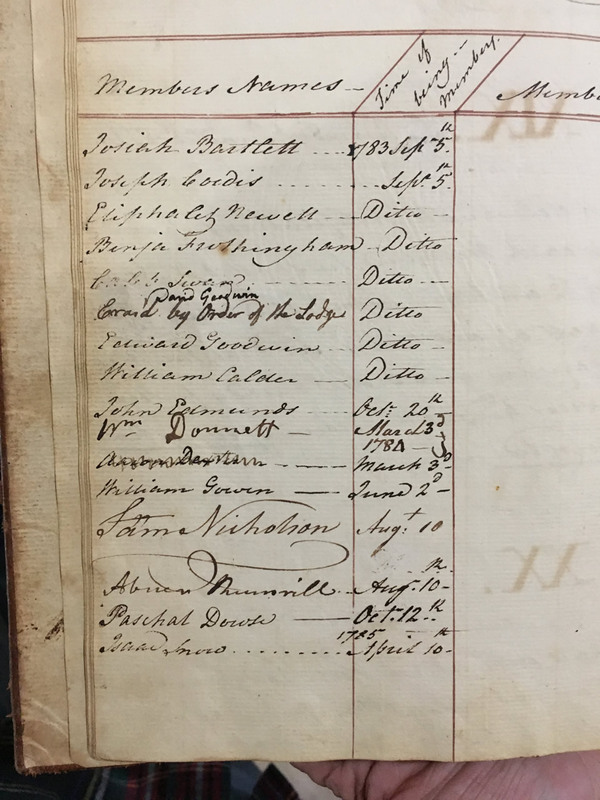 King Solomon’s Lodge, AF & AM, was originally organized in 1783 in Charlestown MA. The Lodge originally met at the Warren Tavern for the first 20 years in Charlestown, which stands to this day. Joseph Warren (who the Tavern is named after), was a patriot and fought in the Battle of Bunker Hill in Charlestown. Dr. Joseph Warren was a Grand Master of Masons, a Maj General of the Massachusetts Militia and President of the Provincial Congress of Massachusetts at the time. He fought at the Battle for Bunker Hill and was killed, June 17th, 1775. In 1899 the Lodge relocated to Somerville, and after a great fire damaged the building in the early 1980’s, the Lodge moved to its present location at 125 Highland Avenue in Somerville. As a result of this, the Lodge’s traditions are steeped in history and the Founding American experience. 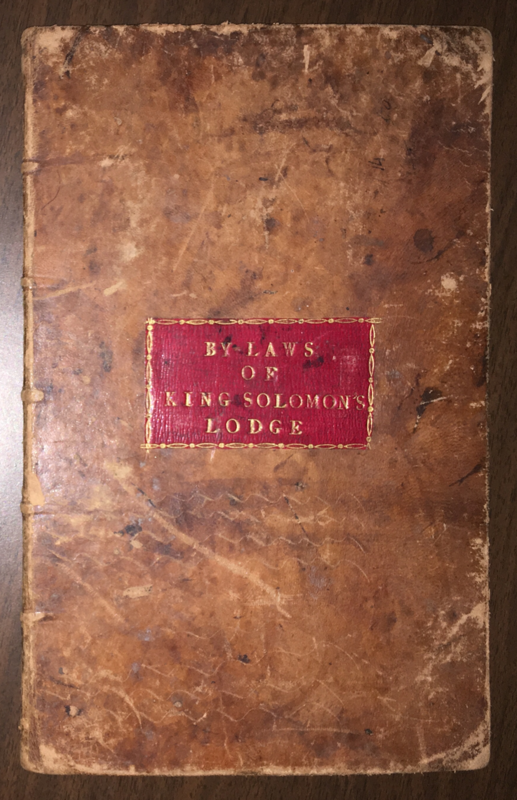 King Solomon’s Lodge is the ninth oldest existing lodge in the western hemisphere, and a member of the Grand Lodge of Massachusetts. The Lodge’s historical significance goes back to some of this nation’s founding patriots. For example, the original Lodge charter was signed by six Brothers, including Paul Revere. In addition, the Officer’s jewels and candlesticks in our Lodge room were crafted by Paul Revere. One of the most recognizable national monuments was based on work done by members of this lodge. In 1969, our lodge hall was located at Pearl & Marshall Street, where King Solomon’s Lodge along with John Abbot Lodge, and various other masonic affiliation lodges resided. In 1969 a second fire at the building caused extensive damage and the Association decided to not rebuild. KSL moved temporarily to the Cambridge Masonic Building while John Abbot moved to the College Avenue Masonic Building. In 1974 the two lodges entered into an agreement with the Grace Baptist Church of Cross to renovate and lease part of their space. 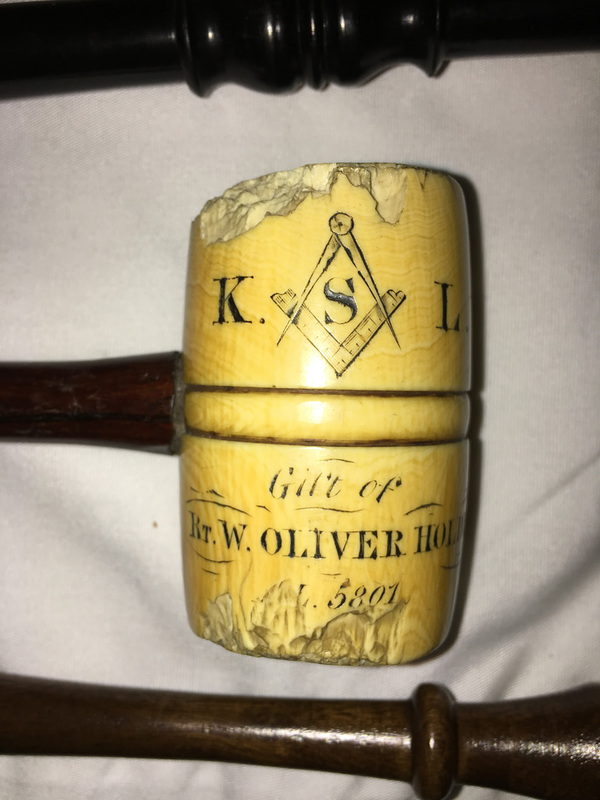 KSL was located there until mid 1984 when it negotiated with the Universalist Parish of Somerville, which leased some space to the lodge for a small fee. The first installation of officers in our Highland Avenue location was on September 1985. At the same time in 1985, Sagamore Lodge from Medford moved into the building as our tenant but later, as of April 28th 1986, merged with KSL in a ceremony known as a “Consolidation of Lodges” . After a few years of court and hearing, the Highland Masonic Temple Association Inc., which consisted of all members in good standing of KSL, purchased the building at 125 Highland Avenue, which became the Highland Masonic Building and our home. This First Monument on Bunker Hill was built in “Memory of Joseph Warren and his Associates who were slain on this memorable spot June 17th, 1775”. The Lodge continued to maintain this Monument until the formation of the BHMA. The Bunker Hill Monument Association was formed in 1823 for the “purpose of erecting on Bunker Hill a more fitting and enduring monument to the memory of the brave men who fell there in the cause of human liberty.” King Solomon’s Lodge (1783) then gave the Association the ground which it owned, together with the monument it had erected to the memory of Bro. Warren, on condition “that some trace of its former existence” might be preserved in the monument to be erected. On June 17, 1825, Grand Lodge opened at 8 a.m. and a procession was formed on the Boston Common which marched to Bunker Hill in Charlestown. There, in the presence of Bro. Lafayette (the apron he wore is in the Grand Lodge archives), representatives from five New England States, with over 50 Veterans of the Battle of June 17th, along with the Grand Lodge of New Jersey, Grand Master John Abbot, and Senior Past Grand Master Isaiah Thomas, assisted in laying the cornerstone and Lafayette and Bro. Hon. Daniel Webster addressed the great gathering. The monument was finally completed and dedicated June 17, 1843, but without the presence of the Grand Lodge. It was during the anti-Masonic era and a resolution to attend was defeated . Inside the present obelisk at the base of the Monument is a sculptural model of the first monument that had been erected by King Solomon’s Lodge in 1794. It is made of the finest Italian marble, dedicated in 1845 and, including the granite pedestal on which it stands, is about nine feet in height and bears substantially the same inscription as the former one. These first national monuments are now under the jurisdiction of the National Park Service (1976) and anybody can climb the 294 steps to the top without charge. From the top chamber windows you can view the whole Bunker Hill Battlefield from Boston Harbor and, in particular, Charlestown Navy Yard where the U.S.S. Constitution (Old Ironsides) is berthed, to West Cambridge and Somerville, along Prospect Hill where the Patriots retreated on June 17th, 1775. Prospect Hill became Gen. George Washington’s first fortifications during the Siege of Boston, July 1775 to March 1776 and is located not far from King Solomon’s Lodge, present location. It is the site where the First Grand Union, American Flag was raised, January 1st, 1776. The Grand Lodge of Massachusetts dates back to 1733. It was the first in the New World, and the third oldest following the Grand Lodges of England and Ireland. Formally organized under the leadership of Henry Price, Boston’s first Masons met at the Bunch of Grapes Tavern. Freemasons have been building better men and better communities ever since. Overlooking the Boston Common is the majestic headquarters of the Grand Lodge of Masons in Massachusetts. One of oldest institutions in downtown Boston, the current building at 186 Tremont Street is the third Grand Lodge structure erected on the site. Built in 1898, it houses many treasures of great historical significance. It has six meeting halls, a research library dedicated to Freemasonry, and the administrative offices for the Grand Lodge and other Masonic bodies and programs.